The U.S. Food and Drug Administration’s Center for Veterinary Medicine launched on June 4, 2010 the beginning of a pilot program to accept and review GRAS (Generally Recognized As Safe) notices for substances used in animal food. Use of preservatives (sorbic acid or potassium sorbate), and ultra-scope to use sweeteners. Similarly, in 2007, Jiaxing, Wenzhou, Exit Inspection and Quarantine failed to identify and send back batches of imported wines, including a 7308 bottle of French wine; last year, in Zhuhai Inspection and Quarantine Bureau through sampling, identified a number of imported dry red wine excessive lead content. What is Potassium Sorbate? ; A common preservative present in many cosmetic and skin care products. It is generally used as an alternative to parabens by inhibiting the growth of microorganisms and preventing the degradation of the product. It is created using Sorbic Acid, found in ash tree berries, and is quite effective against the proliferation of fungi, mold and yeast. Our company will participate Food Ingredients China(FIC) 2010 In ShangHai.Welcome customers to visit. 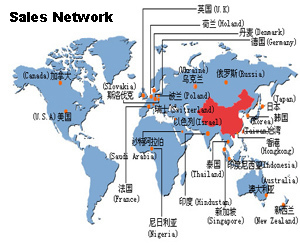 Export Sales Manager contact :Billy Yang.